Get full service infrared thermography services including thermal imaging inspection for common issues like heat loss, mold and moisture intrusion, indoor air quality and more. Inspections for when buildings behave badly. Why is your building "talking back" or causing you grief? Building science is the collection of scientific knowledge and experience that focuses on the analysis and control of the physical phenomena affecting buildings and architecture. Buildings work as a system not as single components. Building science analyze the building as a whole. How Does Building Science Help You? The practical purpose of building science inspections is to provide documentation as to the current condition of the structure or condition and provide a pathway for remediation and or repair. This type of inspection is provided by a non-bias inspector not a contractor with a vested interest in the outcome or cost to cure. Bleaching and scrubbing alone aren't enough to get rid of mold. Many people try to eliminate mold with bleach, however bleach does not kill mold it just whitens it. Bleach does not remove excessive moisture so for mold remediation bleach is useless. The species of mold in most cases is not important. So to take air samples and have them cultured in a lab is of little use in many cases. You do not want growing mold of any type. So if you see mold growth you most likely do not need a mold test. Air sample mold testing can be of some use if you do not see mold and you are curious if there is none visible fungal growth spores somewhere in the structure. Keep in mind just because no significant mold spores were found that does not indicate there is no mold, it could mean there is no flowering or growing mold. So the question is: What has changed that is creating enough moisture to support plant life. Fungal growth inspections are about one thing and that is water. If you presently do not see any mold you will need to control the moisture in the future. 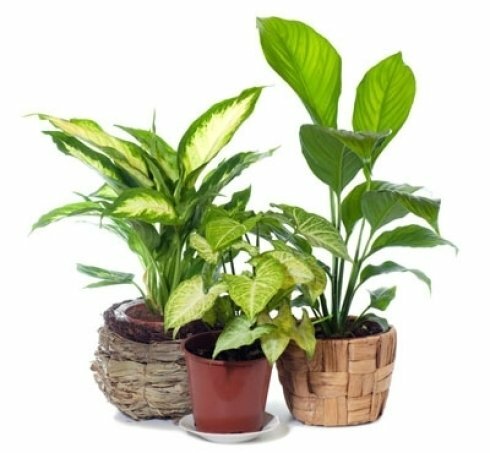 House Plants Can Contribute to Indoor Mold Problems. 90% of the water used on plants evaporates into the air. Too many people in living space can contribute to mold issues. We have found that a working couple that retires and is now spending all day at home with their grandchildren can create enough moisture to overwhelm the venting system. Aquariums can contribute to mold issues. All of the water in an aquarium evaporates into the structure and eventually migrates to the attic, then the magic mold starts to grow. When a single family home is converted to a day care may contribute to mold problems when there are too many people and too much moisture for the venting systems. Improperly installed attic insulation can create mold issues. If new attic insulation is installed without air sealing all penetrations through the ceiling the new insulation keeps the attic colder and the hot moist air migrating into the attic condenses and promotes mold. Inadequate Exhaust Ventilation can contribute to mold problems. If the exhaust ventilation is not adequate some of the exhaust gasses enter the space and the most significant byproducts of combustion is water. Inadequate venting systems can contribute to mold problems. We find many buildings with new roofs where the contractor changed the turtle vents on the roof to an inadequate ridge vent system that does not work well enough to dissipate water vapor. There are hundreds of reasons why the moisture levels in a building rise to the critical point and promote mold growth. We specialize in locating those reasons. Call with any questions, we do not charge for phone consultations.